Vista Waikoloa G301 offers a nice golf course view in a quiet location. 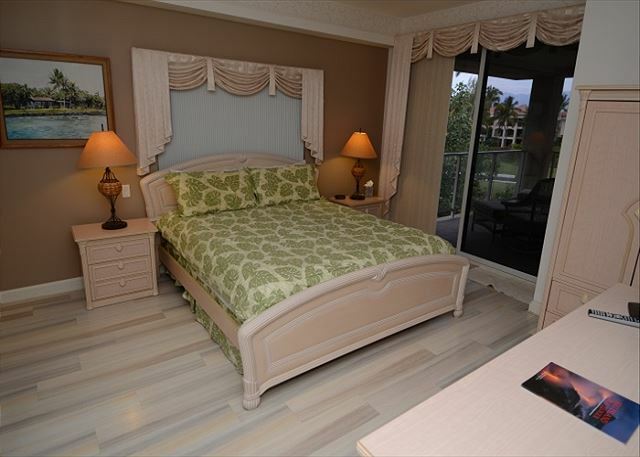 This Vista Waikoloa condo has been thoroughly upgraded. 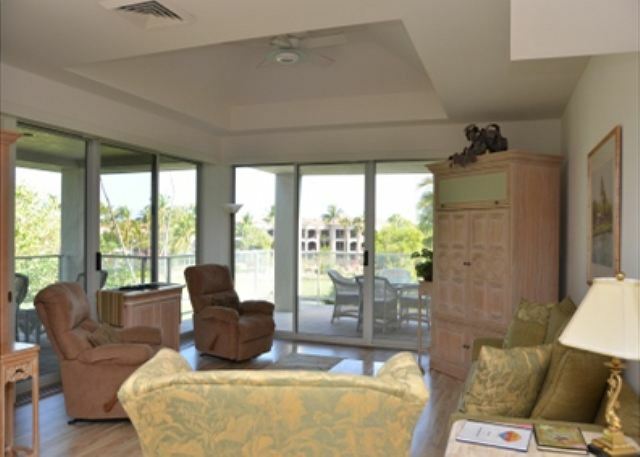 From pergo floors throughout to granite countertops in the kitchen, this condo has it all! The living room has a large couch along with two reclining chairs. The armoire holds a television, DVD player, and radio. 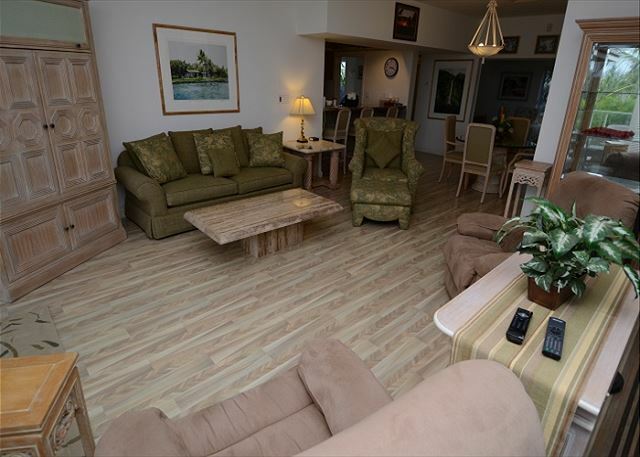 From the living room, you can step out onto the large wrap around lanai and enjoy a view of the first tee of the Waikoloa Beach Beach Course along with a partial ocean view. The gourmet kitchen has granite countertops and is fully stocked for all of your cooking needs. The master bedroom has a king size bed with a television. You have a nice view of the Pacific Ocean from the master bedroom window. The master bathroom has a walk in shower, deep soaking tub, and double vanities. 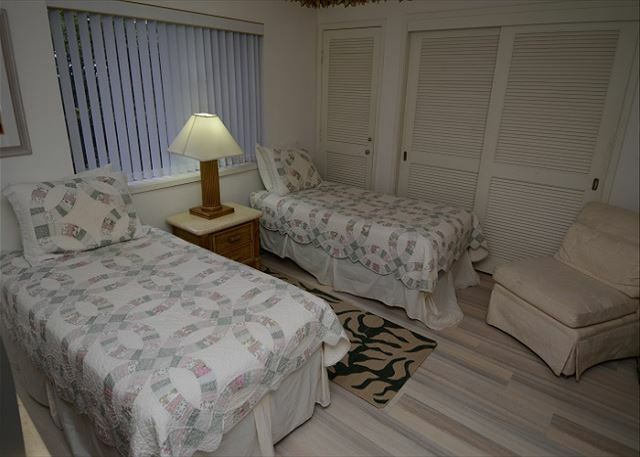 The guest bedroom has two twin beds along with a television with DVD player. 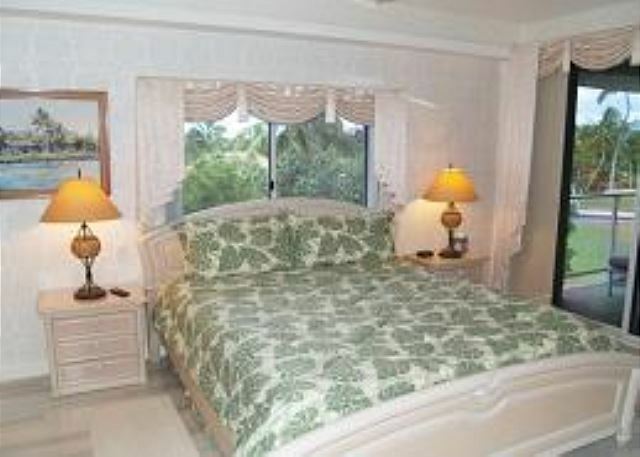 The two beds can be converted to a king size bed upon request. There are sliding doors for privacy. The guest bathroom has a large walk-in shower. 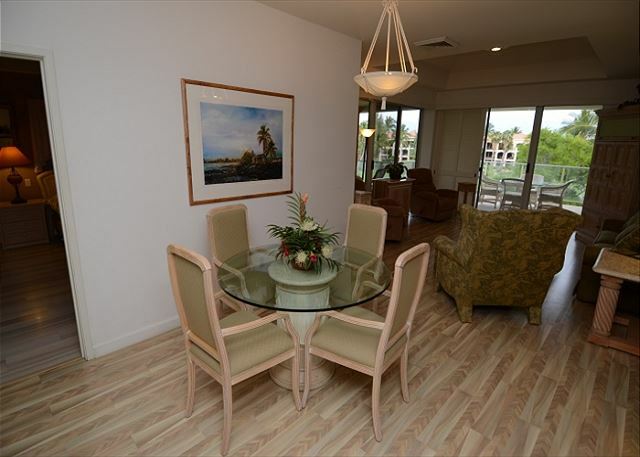 There are several rental available at Waikoloa that offer private, beachfront or garden-front views of one of Hawaii’s most beautiful island locations. 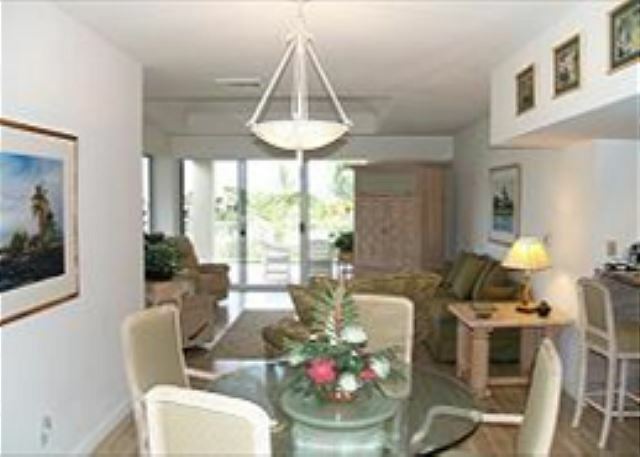 Each of our villa and condo rentals are designed for an ultimate relaxing vacation specified to your desires. 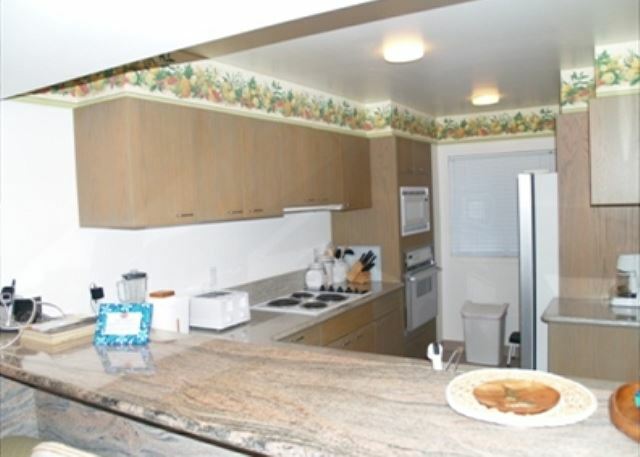 The homes themselves are spacious, clean, and fully equipped with all the amenities you need for enjoying your stay on the Big Island of Hawaii. Many vacationers choose to stay at Waikoloa because it offers everything they want in a relaxing Hawaiian getaway, including a prime location to visit other attractions around the island. There are many different colors of sandy beaches, waterfalls, volcanoes, surfing or other aquatic sporting, luaus, and much more. For an island experience you are sure to remember, Waikoloa is your go-to destination.